Thank you so much for having me as a guest contributor today on your fabulous newly designed decor8, Holly! Hello everyone, this is Irene -- some of you may know me from my blog Bloesem or B:Kids, two blogs that are about expressing my ideas about design and giving exposure to many creative talents in our world while looking at beautiful images that inspire much day dreaming! 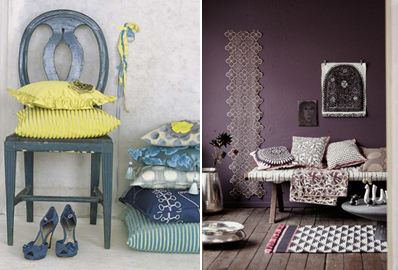 Just a few inspirational images from the portfolio of Stylist Irina Graewe above. Don't these pillows make the space so much nicer? I think they also provide a nice base as this post is about some of my favorite pillows and now you can also see how I enjoy seeing them displayed in the home. Those who know me well understand that pillows and I go very well together... I guess it has something to do with my love for beautiful fabrics. When I see a nice fabric I think that it would make an awesome pillow, so in our house there are many different styles and types -- mostly made by me, but the ones I'm mentioning today could easily fit in our collection as well. 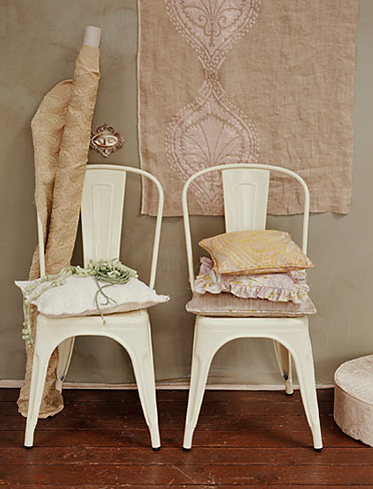 The first ones that I would like to show you express my love for vintage and linen. Mel Bomba from Sydney is a graphic designer by trade but in her etsy shop, MelVilleMade, you can find these awesome pillows that will fit in any interior. Mel and I both prefer books with pictures over those with only words and we share a love for the color green. An instant connection! 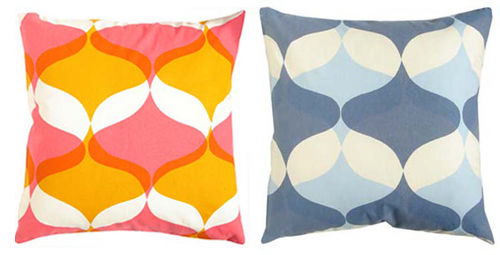 These lovely cushions have a very fresh and retro feel and are made by the Toronto based company, Tonic Living. 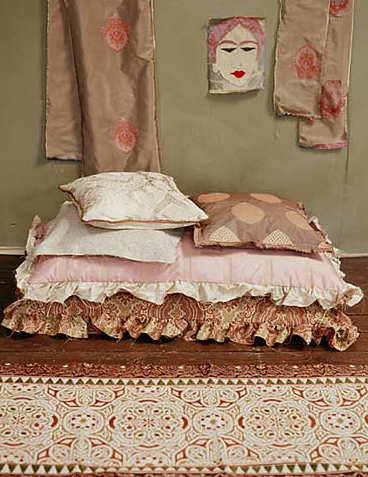 They are a small, family-owned operation selling a large pillow collection online. I?m thinking of ordering these for our balcony, which I?m currently redecorating with only white and wood furniture and bright accessories. These will bring such an extra summer feel. For inside our apartment these ?grass? pillows would be great, like I said before green is my favorite color, together with my grays and linen I think it would look very nice and chic. The people behind Tonic Living strongly believe in Karma, positive energy, quality and their slogan is, ?We hope that the cushions bring new life and energy to your living space which makes us an overall "Tonic" for your life!? 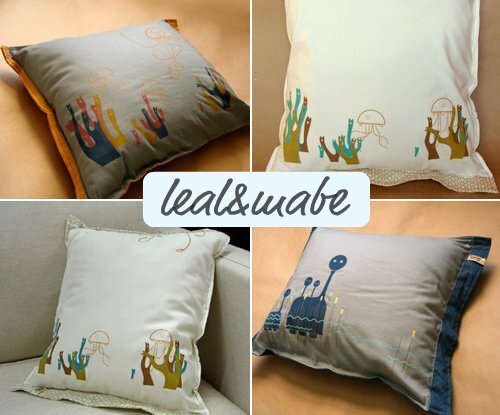 These are not your average pillows, but very funky ones with some great illustrations on them made by the creative duo Leal&Mabe, two people who feel strongly about bringing good design and respectful manufacturing practices to market. I discovered them at the fabulous online shop Supermarket. 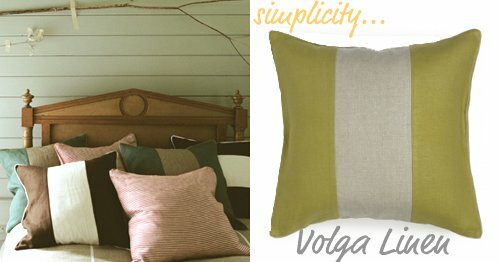 At Volga Linen you can find the basics that are so important for decorating a house, beautiful colors combined with linen textiles make the perfect pillows. 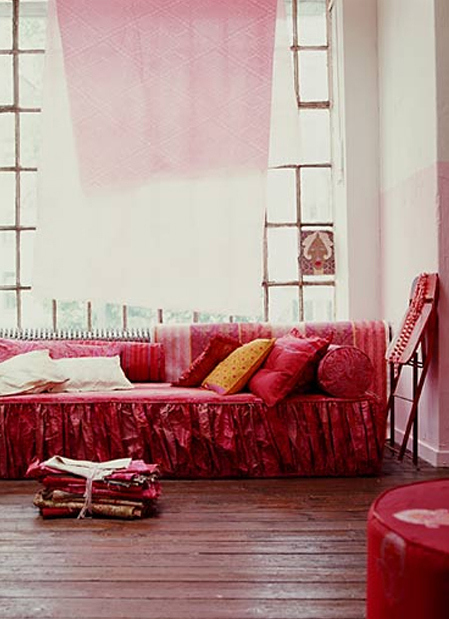 Volga Linen is a family-run British company with strong ties to Russia, where they obtain these exquisite linens. 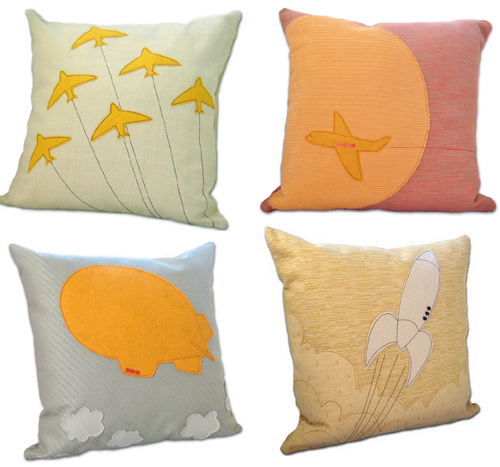 And last but certainly not least are these lovely appliqued handmade pillows by Dawanda seller, Brokesy who has a collection featuring all things about air travel. As well as making pillows, this Canadian lady works as a costume designer, stylist and a wardrobe girl (not sure what that is) in L.A, California. So that?s it for today, I hope you like my selection of pillows and I wish Holly a wonderful stay in Germany in her new place!